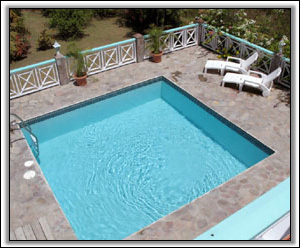 Nevis Luxury Villa Rentals - Bathsheba is a 5 bedroom luxury Nevis Villa overlooking the Caribbean Sea and St. Kitts. 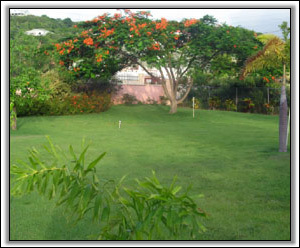 Bathsheba is set 100 metres from the Caribbean sea, in a tranquil area of Nevis, a beautiful and unspoiled island, with quiet beaches and a surprising amount to do and see. 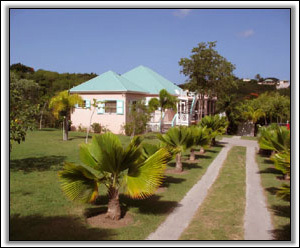 The house was built during 2001/2002 to a plan by a local architect, with the intention of combining typical local design features with modern facilities. 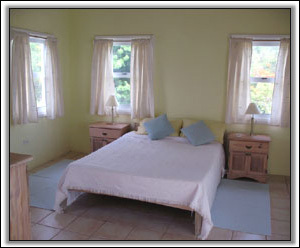 Bathsheba has five large en-suite bedrooms and a 36 ft x 16 ft living area, all fully air conditioned. 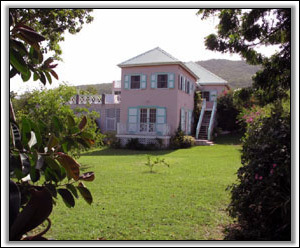 Outside there is a large deck with a swimming pool, an upstairs viewing deck ,which has wonderful views of the Narrows and the neighbouring island of St. Kitts, and about three quarters of an acre of gardens with many attractive trees and plants, running down to a ghaut, a dry river bed. Inside, the house has been designed to offer privacy if you are part of a group, together with large communal areas for everyone to gather in comfort. Kitchen: GE appliances (side by side refrigerator, gas stove, dishwasher, stackable washer/dryer). 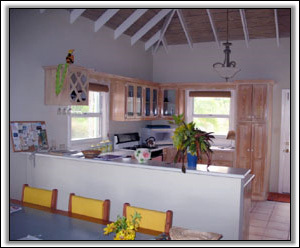 Corian sink and countertops with eating bar, Panasonic microwave, wooden wall cabinets and bookcases. These rates reflect full occupancy of the house, prices for smaller parties can be agreed upon application.